Great bayfront getaway in gated, intimate complex. 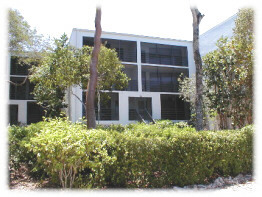 Our 2 bedroom, 2 bath 1st floor flat has bayviews from almost every window and has a spacious screened porch. 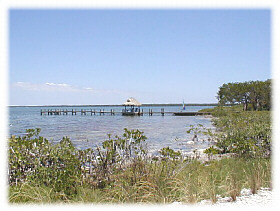 Only 38 units in this bayfront complex on 25 acres of hammocks! Our unit is fully and newly furnished and equipped. Tastefully decorated in a contemporary fashion. 3 MONTH MINIMUM RENTAL PERIOD. Florida Keys, Key Largo Bayfront condo. Master bedroom has attached bath with oversized jacuzzi tub! 2nd bedroom has attached bath. Outside parking next to unit. Other amenities not listed above: On site tennis court and clubhouse. Swim with the dolphins programs nearby! Easy day trips to Key West, South Beach and Miami areas. Our complex is on the bay by mile marker 100 and is a 1 hour drive from Miami airport and 1.5 hour drive from Ft. Lauderdale airport. Year round. 3 MONTH MINIMUM RENTAL.